Affiliate marketing has a language all its own. Below is a collection of the frequently used terms. Above the Fold : part of a web page that is visible once the page has loaded, normally it is the top part of a web page. This term is derived from the newspaper industry, referring to the portion of the front page that is visible with the paper folded. Affiliate : a Web site owner that earns a commission for referring clicks, leads, or sales to a merchant. Affiliate Agreement : terms between a merchant and an affiliate that govern the relationship. Affiliate Information Page : a page or pages on your web site that explains clearly and concisely what your affiliate program is all about. Affiliate Link : a piece of code residing in a graphic image or piece of text placed on an affiliate's web page that notifies the merchant that an affiliate should be credited for the customer or visitor sent to their web site. Affiliate Manager : the manager of an Affiliate Program who is responsible for creating a newsletter, establishing incentive programs, forecasting and budgeting, overseeing front-end marketing of the program, and monitoring the industry for news and trends. 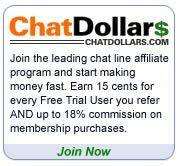 Affiliate Program Directory : directory of affiliate programs, featuring information such as the commission rate, number of affiliates, and affiliate solution provider. Associate-It, AssociatePrograms.com and Refer-it are among the largest Affiliate Program Directories. Affiliate Solution Provider : company that provides the network, software, and services needed to create and track an affiliate program. Associate : synonym for affiliate. Auto-Approve : affiliate application approval process where all applicants are automatically approved for an affiliate program. Auto-Responder : an email feature that automatically sends an email message to anyone who sends it a message. Banner Ad : an electronic billboard or ad in the form of a graphic image that comes in many sizes and resides on a web site's web page. Banner ad space is sold to advertisers to earn revenue for the web site. Browser : a client program (software), such as Internet Explorer, Netscape, or Opera, that is used to look at various kinds of Internet resources. Charge Back : an incomplete sales transaction (i.e. merchandise is purchased and then returned) that results in an affiliate commission deduction. Click & Bye : refers to the process of an affiliate losing the visitor to the merchant's site once they click on a merchant's banner or text link. Click-through : the action when a user clicks on a link. Click-Through Ratio (CTR): percentage of visitors who click-through on a link to visit the merchant's web site. Client : a software program that is used to contact and obtain data from a server software program on another computer, often across a great distance. Each client program is designed to work with one or more specific kinds of server programs, and each server requires a specific kind of client. A Web browser is a specific kind of client. Co-branding : situation where affiliates are able include their own logo and branding on the pages to which they send visitors through affiliate links. Collaborative Commerce Networks : networks of merchants and web sites that work hand in hand as true business partners. Merchants treat their affiliates as sales and distribution channels worthy of any and all support that manufacturers would give to their resellers. Commission : income an affiliate receives for generating a sale, lead or click-through to a merchant's web site. Sometimes called a referral fee, a finder's fee or a bounty. Cookies : small files stored on the visitor's computer, which record information that is of interest to the merchant site. With affiliate programs, cookies have two primary functions: to keep track of what a customer purchases, and to track which affiliate was responsible for generating the sale (and is due a commission). Context-Centric : matching your product or service offer closely to the visitors of an affiliate's site. Place the product or service in-context (closely related to the content it's next to) and more people will buy. Contextual Link : integration of affiliate links with related text. Contextual Merchandising : placing targeted products near relevant content. Conversion Rate : percentage of clicks that result in a commissionable activity (sale or lead). CPC (Cost Per Click): cost metric for each click if an advertising link. Customer Bounty : pays the affiliate partner for every new customer that they direct to a merchant. E-mail Link : an affiliate link to a merchant site in an e-mail newsletter, signature, or a dedicated e-mail blast. Email Signature (or Sig File): signature option allows for a brief message to be imbedded at the end of every email that a person sends. eZine : short for electronic magazine. Some e-zines are simply electronic versions of existing print magazines, whereas others exist only in their digital format. FAQ : (Frequently Asked Questions) FAQs are documents that answer the most common questions on a particular subject. HTML code : the lines of code that affiliates use to put links on their Web sites. Affiliate solution providers often provide a tool where affiliates can simply copy the code for an affiliate link and paste it into their own HTML pages. Hybrid Model : affiliate commission model that combines payment options (i.e. CPC & CPA). Impression : advertising metric that indicates how many times an advertising link is displayed. In-house : alternative to using an affiliate solution provider; building affiliate program architecture within a company. Lifetime Value of a Customer : the amount of sales in dollars that a customer in his lifetime will spend with a particular company. Manual Approval : affiliate application approval process where all applicants are manually approved for an affiliate program. Media Metrix : measures traffic counts on all the web sites & digital media properties on the Net. They regularly publish the names of the Top 50 sites in the US, the Global Top 50, and the Media Metrix Top 500 web sites. Merchant : an online business that markets and sells goods or services. Merchants establish affiliate programs as a cost effective method to get consumers to purchase a product, register for a service, fill out a form, or visit a Web site. Mini-site : prefabricated HTML page for affiliates that displays new or specialized products with integrated affiliate links. Pay-Per-Sale : program where an affiliate receives a commission for each sale of a product or service that they refer to a merchant's web site. Pay-per-sale programs usually offer the highest commissions and the lowest conversion ratio. Pay-Per-Lead : program where an affiliate receives a commission for each sales lead that they generate for a merchant web site. Examples would include completed surveys, contest or sweepstakes entries, downloaded software demos, or free trials. Pay-per-lead generally offers midrange commissions and midrange to high conversion ratios. Pay-Per-Click : program where an affiliate receives receive a commission for each click (visitor) they refer to a merchant's web site. Pay-per-click programs generally offer some of the lowest commissions (from $0.01 to $0.25 per click), and a very high conversion ratio since visitors need only click on a link to earn the affiliate a commission. Residual Earnings : programs that pay affiliates not just for the first sale a shopper form their sites makes, but all additional sales made at the merchant's site over the life of the customer. ROAS : stands for 'Return on Advertising Spending'. This is the amount of revenue generated for every dollar spent on advertising. For instance, a ROAS of $1 means you're generating $1 in sales for every $1 in advertising spend, and a ROAS of $5 means you generate $5 in sales for every $1 in spending. ROI : stands for 'Return on Investment'. This is what all marketing managers want to see from the money they spend on their marketing and advertising campaigns. The higher the sales, the large the number of shoppers and the greater the profit margin generated by sales - the better the ROI. Server : a computer, or a software package, that provides a specific kind of service to client software running on other computers. The term can refer to a particular piece of software, such as a WWW server, or to the machine on which the software is running, e.g. "Our mail server is down today, that's why e-mail isn't getting out." A single server machine could have several different server software packages running on it, thus providing many different servers to clients on the network. Spam (or Spamming): electronic junk mail or junk newsgroup postings, generally e-mail advertising for some product sent to a mailing list or newsgroup. Storefront : prefabricated HTML page for affiliates that displays new or specialized products with integrated affiliate links. Targeted Marketing : offering the right offer to the right customer at the right time. Text Link : link that is not accompanied by a graphical image. Two-tier : affiliate marketing model that allows affiliates to sign up additional affiliates below themselves, so that when the second tier affiliates earn a commission, the affiliate above them also receives a commission. Two-tier affiliate marketing is also known as MLM (Multilevel Marketing). Viral Marketing : the rapid adoption of a product or passing on of an offer to friends and family through word-of-mouth (or word-of-email) networks. Any advertising that propagates itself the way viruses do.